Global energy demands increase every day. Consumption of electricity is growing disproportionately as industry and domestic systems require ever-greater amounts of energy. 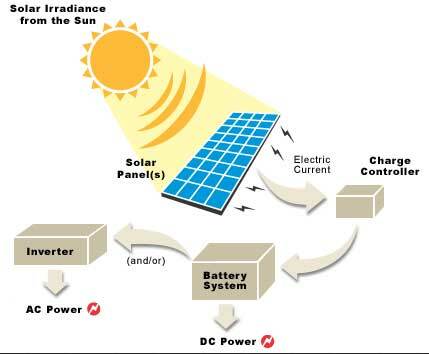 Renewable energy, from sources such as photovoltaic power, must help the world to answer the energy challenge. Monitoring and performance analysis of solar PV Plants have become extremely critical due to increasing cost of operation and maintenance as well as reducing yield due to performance degradation during the life cycle of the plant equipments. 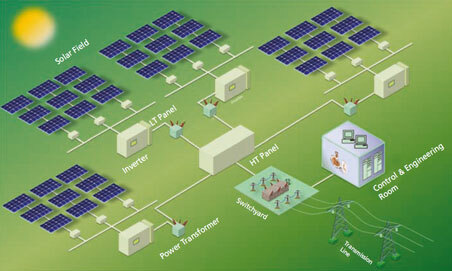 This becomes essential to ensure high performance, low downtime and fault detection in a solar power plant. On-site weather data, production data from the panel strings, inverters and transformers are required to be continuously collected for monitoring and analysis of performance. A well designed monitoring and analytics system assist in reducing the cost of operation and maintenance. The intuitive SCADA system developed by Indexel Engineering enables utility-scale solar power plant owners to visualize the operation of their PV solar arrays. 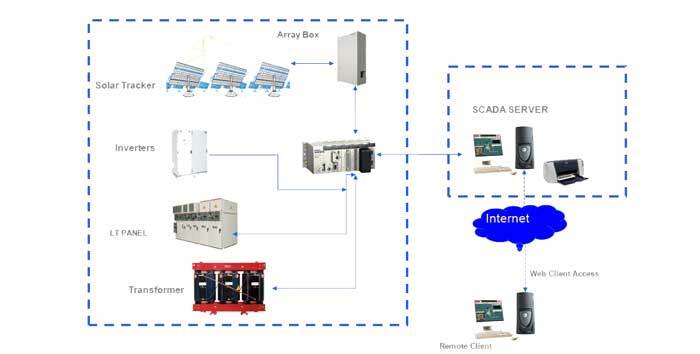 In addition to rapid commissioning and historical data reports, the information delivered by the Indexel Engineering SCADA provides the visibility to better manage your energy output and ensures your solar power plant meets grid requirement by maximizing system availability. We support a variety of user interface requirements through an open, flexible architecture. Interfaces to numerous filed devices such as Inverters, Meteorological stations, Energy meters, Solar Trekking systems, Array boxes, Pyronometers e.t.c. Provide access to plant data from remote locations. Employs a scalable architecture that compliments current plant architectures with a bridge for easy future expansion. Provides a customized detailed report to study the daily energy generation patterns with the amount of carbon saved. Provides full support, long-term service and training.